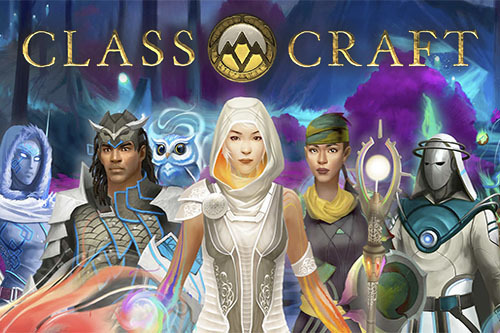 Classcraft is an educational online game designed to be used in elementary, middle, and high school classes. Every student selects a character, equips them with clothing and armor, maintains the character’s attributes, and levels up. In order to do this, they need to master their course material and turn in satisfactory homework assignments. This is the primary advantage of the game—even the students who were once less motivated to do their homework or study for exams now study voluntarily and without extra reminders because their character’s survivability, as well as the stats of the entire team (i.e. their class), depend on their success. As a result, students do better in class and grow closer as a group. This effect may be achieved in part because many of them now find themselves in a familiar environment where everything is simple and comprehensible. After all, we all loved video games when we were in school. So, as mentioned above, Classcraft is an educational role-playing game played by the teacher and students in class. The teacher acts as the “game master,” and their students become mages, warriors, and healers. The students’ success in their studies and communication with their peers directly affect their progress in the game. And belonging to one character class or another provides them with various bonuses. The idea of gamifying education struck us as fascinating, so we were thrilled to offer our assistance in localizing the game—or, more exactly, in editing the translation that already existed. By the way, the game had been translated by volunteers who were unknown to us, and crowdsourcing is another topic of considerable interest. In general, the translation environment probably exerted more of an influence on the project and the editor’s work than the fact that the translation had been crowdsourced. To be exact, it wasn’t so much the environment that influenced the project as the limitations of that environment. Particularly significant was the fact that, unlike most CAT tools, there was no way to automatically check if the glossary was being followed, the numbers in the source and target text were the same, or the punctuation and orthography were correct. Unfortunately, using OneSky was a requirement set by the client, and there was no way to export the text into, say, memoQ in order to run automated QA. We had to do things the old-fashioned way, with no automated QA functions. Since the game had been translated by volunteers who didn’t necessarily have any experience with translation in general or the games industry in particular, there were certain aspects of the source text that were not accounted for during the translation process. For example, strings containing variables frequently had to be retranslated from scratch—even if an inexperienced localizer managed to notice them, they frequently failed to understand their meaning or morphological characteristics. Here’s a little example: “Get a _reward_ in _count_ day.” In the game, this string might look like this: “Get mail in 3 day.” Avoiding grammatical issues is pretty simple here—just think about what will replace the tags when translating the string. Another widespread problem was the failure to consider the player’s gender when translating strings. Since Russian has different verb endings in the past tense for masculine and feminine subjects, this would have led to grammatical errors in the game if the player’s gender didn’t match a gendered verb ending used with their name. Female students would hardly have appreciated being referred to as male, as in the following string: “_sourceFname_ defended (masc.) _targetFname_ against _damage_ HP of damage,” so we fixed these constructions. But, as you can see, the meanings of the other variables were actually factored into this example pretty well! Nevertheless, we were very pleased to have the ability to send questions about specific strings directly to the developers, as well as to vote for another volunteer’s translation if we preferred it. Incidentally, we actually got responses back very quickly, and in general our interactions with the developers of Classcraft were positive and productive. Classcraft’s mission is to transform education using game mechanics that effectively draw students in and provide teachers with useful tools for managing the game. In 2013, a physics teacher named Shaun Yang was trying to find new ways to help his students in high school do better in class. He developed a simple role-playing game that radically transformed the way we see classroom engagement. After a former student of his wrote about Classcraft online, thousands of teachers took an interest in the platform. Shaun teamed up with his father Loren, who had 35 years of business experience, and his brother Devin, a creative director from New York. Together they decided to make Classcraft available to every school in the world. Allcorrect Games is a division of Allcorrect Group, which provides translations, voice-overs, localization testing, and video game localization. Allcorrect Games works with the majority of Russian developers and publishers, along with major international game publishers. The company has participated in the localization of over 350 games and the testing of over 100. Allcorrect Games works in 20 language pairs in partnership with six voice-over studios and tests games for iOS, Android, and PC, employing native speakers or Russian-speaking testers with a high level of fluency. You can manage your cookie preferences at any time.